Your quotation is based on the information given at the time of making the booking. Any changes at a later date such as location, date etc. may be subject to additional charge and would be subject to availability. Careful consideration should be made when choosing your vehicle with regards to access. Some church entrances and streets are very narrow and not easily accessible by our larger vehicles and may also be blocked by other cars. Your chauffeur will assess the situation at the time and will get you as close as possible, but will not risk damaging the vehicle. Please note that our Vintage style cars are licensed to carry a maximum of 3 passengers. A non-refundable deposit is required to confirm your booking. We can accept payment by Visa Debit , Credit card (via our website), bank transfer or cash. Failure to pay within 7 days may result in the cancellation of the agreement. The company must receive notification in writing of any cancellations/amendments. Deposits may be transferred to a new booking if the company is notified at least 60 days before the original date of hire. The new booking is subject to availability. Cancellations made within 60 days of the hire date will be liable for the full amount of the booking. For this reason, we recommend that you have Wedding Insurance in place. Any changes to a booking are subject to a 25 euro amendment charge. Full payment can be made to your Chauffeur on the day but please note that any cancellations of booking within 60 days of the date of hire would be liable to pay the full amount (less our on the day expenses). The hirer shall be fully responsible and liable for any damage caused both inside and outside the vehicle by the hirer or a member of his or her party, howsoever caused. This includes incitement or behaviour resulting in damage to the vehicle or its contents by a third party. It is an express condition of the hire that the hirer accepts this responsibility. The consumption of food is not permitted in any of the vehicles. All drink must be consumed in the vehicle and glasses may not be removed for any reason whatsoever. The company will not allow red wine or Bailey’s (or similar) to be consumed in the vehicle at any time owing to the potential damage to the interior as a consequence of spillage. Consumption of alcohol is for those over the age of 18 only. A soft drink alternative can be supplied if required. The opening of champagne (or similar) bottles can be hazardous to the occupants of the vehicle and may give rise to damage to the vehicle; therefore, champagne (or similar) bottles may only be opened by the chauffeur outside of the vehicle. The hirer accepts that the company adopts a strict no smoking policy in all of its vehicles and that any failure to adhere to this policy will result in the immediate termination of this agreement without any refund. It is a legal requirement that all passengers wear a seat belt where fitted. All of our vehicles are fitted with seat belts up to the maximum number of passengers allowed by law. Therefore, all passengers in the party are required to wear a seat belt. The hirer specifically indemnifies the company and the chauffeur against any fines imposed or injury as a consequence of the passengers failing to comply with this legal requirement. The hirer expressly accepts that except in cases of an emergency, only the chauffeur may open and close doors. This is a safety precaution to minimise the risk of accidents and damage to the vehicle. The company will not be held responsible for accidents caused as a consequence of the hirer or his or her party failing to adhere to this condition and the hirer accepts responsibility for any damage to the vehicle and or any third party as a result of the hirer or hirer’s party failing to adhere to this condition. The hirer accepts and indemnifies the company and its chauffeurs against any loss, consequential or otherwise as a result, direct or otherwise of a failure to meet time deadlines. It is the responsibility of the hirer to ensure that there is adequate time to travel to and from destinations, the company will provide advice, but this does not form any part of a contract between the hirer, the hirer’s party or the company and its employees. Whilst we maintain our vehicles to the highest standards, unfortunately cars can and do break down at times. If this happens before the hire, we reserve the right to change the vehicle. If we are unable to provide an alternative vehicle, a full refund will be offered. We recommend that the hirer has emergency back up plans or alternative transportation. If a vehicle is delayed due to either accident or breakdown the company does not accept liability for alternative arrangements made by the hirer. If a mechanical failure occurs during the hire, the chauffeur will do their utmost to rectify the situation at the time. If we are unable to complete the hire as contracted, then a refund/partial refund will be offered but we cannot accept responsibility for any additional costs incurred. Complaints should be directed to your chauffeur at the time of occurrence to allow them the opportunity to rectify the situation immediately. If the situation was not rectified, please direct any complaints in writing to the postal address below within 14 days of the date of hire. The company will respond in full within 7 days. 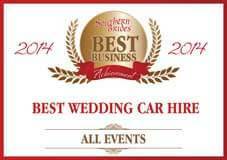 Showroom & Postal Address: All Events Limousines, 4 The Sanctuary, Killea, Dunmore East, Co Waterford (Strictly by appointment only). .
Everything you need to know is contained within this website. It is accepted that when a client makes a reservation they have familiarized themselves with who we are, what we offer and our Terms and Conditions of Booking. We are unable to run through every possible detail with every client, some of which may not apply to all persons and much of it would be boring, forgotten and very time consuming.